That’s unbelievable! : Indian mobile phones | Dream! Go! Live! Posted on February 1, 2011	by dream!go!live! I’ve been living without a mobile phone for over two months. In fact, my US mobile is back in the U.S. Even when I was living in New York I was never a fan of using my phone and certainly never texted anyone. I shut off the text function altogether because I was getting random texts from people I didn’t know. When I arrived in India back in December, everyone encouraged me to get an Indian mobile phone especially since I am traveling alone. But I resisted. And I resisted. There were a few times where I really could have used a mobile but once I asked a stranger to make a call for me and the other time I went to a phone booth and made the phone call needed. Yes, I used a public phone. Yes, I used a public phone in India. 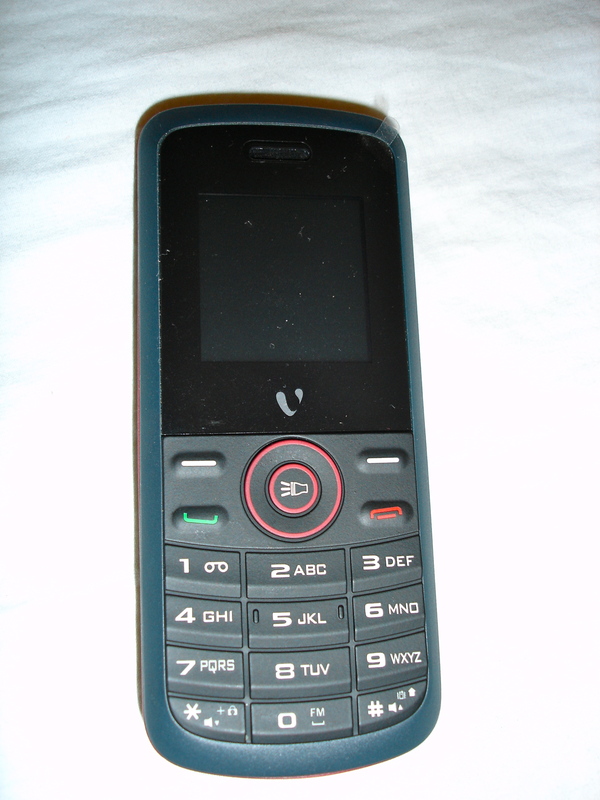 Two days ago I accompanied my flat mate to a local mobile store and on a whim, I got myself an Indian mobile phone. During my research for India I found out that if I wanted to get a local mobile, I would need a copy of my passport and a passport sized photo. I came to India with extra copies of everything so I was prepared but I heard from other travelers that the rules and regulations on foreigners getting cell phone were tougher now due to terrorism fears ever since the Mumbai bombings. Our landlord offered to “sponsor” us in case we had problems so we ventured out to see what we could find. First we walked into a fancy looking mobile store she recommended. I noticed that the store was very busy and they had a nice selection of phones and other hand-held electronic devices. When we asked for the cheapest phone there, we were shown a rather nice looking Nokia phone that was about $35 USD. But a few weeks ago I ment someone who bought a phone for ~$15 so we knew we could do better. There was another mobile store right next door that looked a bit shabby but we went in anyway. This store, in contrast to the first one, was small and practically empty so the two of us had the attention of all three workers manning the place. There we found a mobile phone for less than 1,000 rupees ~ $20 USD. We took one out of its packaging and laughed out loud because it looked so much like a child’s plastic toy. It was light as a feather because the whole thing was a piece of plastic and without the battery inside it weighed nothing. But the clerks assured us that it was legitimate and it would work fine. Now onto the part I can hardly believe. With the purchase of my mobile phone, I receive 1) ALL incoming calls FREE of charge FOREVER (or I guess as long as I have this phone), 2) 10 minutes of local (state wide) outgoing calls per day for six months for FREE. Yes. That’s right. I couldn’t believe it. But there is more (this sounds like a late night infomercial). Nationwide plans are extremely affordable. The basic plan costs 25 rupees or a little over $0.50 per month. International calls are dirt cheap. I can call the U.S. for 1 Indian paise per second. So if I make a call to the U.S. from my mobile phone and speak for an hour, it’ll cost me 36 rupees ~ $0.80 USD. Yes. An hour call to the U.S. from India will cost me less than $1. The basic plan costs 57 rupees per month ($1.25) for this international plan and then you pay based on usage. Why is it so cheap in India? Why are calling plans in the U.S. so expensive? Now I fully understand why almost every single Indian person has a mobile phone. We ended up going back to the store twice more for various reasons, and we almost feel like we made some local friends there now. I will definitely purchase a nationwide plan before I leave this state of Tamil Nadu, and who knows, I may even get the international plan. This entry was posted in 2011, India, Travel, Yoga and tagged Chennai, Indian Mobile Phones, Krishnamacharya Yoga Mandiram (KYM), Tamil Nadu. Bookmark the permalink. Could not agree more..I do not have a mobile phone in the USA and never feel deprived! A couple of years ago I was 3 weeks in Pakistan (do not ask!) and bought a mobile in Peshawar after showing passport etc..I think it cost about $20 and included some free time..most evenings I called my wife in Manhattan and a few other calls and I kept wondering when I would have to top it up…but I never had to!…it was incredible…you must ask yourself why rates are so expensive in the UK and in the USA when these devoping countries can do it so inexpensively. Chris please bring your new fancy phone to breakfast as I would like to make a call to New Delhi!! I love your “oh India” laments. Did I tell you that I flew on a commercial plane in Egypt under someone else’s name? Our entire group did, in fact. We first protested that we got someone else’s ticket, until we realized we ALL were flying in someone else’s name… Oh Egypt. And now they have even bigger problems over there. I bought almost the identical mobile phone in Bangkok for about $30US and now I’m wondering what I did with it. Did I give it away to someone? I can’t remember now… Now it’s going to drive me crazy until I find it.